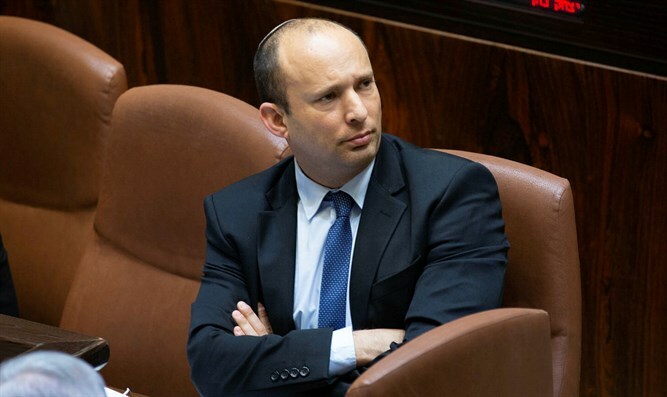 Chairman of the Jewish Home Minister Naftali Bennett responded to the report on Hadashot 2 News that Netanyahu had sought to slander his wife Gilat Bennett through the Walla website. Amit Segal published on Hadashot 2 the version of businessman Shaul Elovitch, suspected of bribing Netanyahu, within the context of "Case 4000." His version includes stories behind the scenes about his connection with Prime Minister Binyamin Netanyahu, the reasons for the dictates on his Walla website and the police's proposals to become a state witness. Sources close to the businessman said that Netanyahu also had unusual requests over the years. "Elovitch helped Bibi only when he thought he was right," they said. "For example, one day Netanyahu asked him to publish an article that Gilat, Naftali Bennett's wife, was a chef in non-kosher restaurants. They did not agree to publish such a thing." "I am sorry for you, Mr. Netanyahu," Bennett said in response to the report. "You made a personal effort to call the Walla owners to hurt my wife. This is a despicable and cowardly act, shame on you. I married Gilat, a wonderful woman from a secular and ethical home. My family is the pride of my life. Do not apologize to me, I'm not interested, apologize to my wife." Likud responded, "There is no limit to Bennett's hypocrisy, it is he who should apologize. Many journalists know that from the moment he left Netanyahu's office, Bennett did not stop briefing against Sara Netanyahu and slandering her at every opportunity. He who has butter on his head should stay out of the sun."